The story of our modern food system features an unlikely protagonist. Nitrogen—colorless, odorless, and unobtrusive—makes up most of the air we breathe. Along with phosphorus, it’s a lead character in a global revolution that transformed how much food we could grow and how many people we could feed. This great change, the Green Revolution, began after World War II, particularly in developing countries. But its benefits and costs continue to impact the world today. In the 1950s, stagnating crop yields and an accelerating world population made food scarcity seem inevitable. Between 1985 and 2005, though, global crop production increased by 28 percent, even as the area of land harvested increased by 2.5 percent. This corresponded to a 20 percent increase in global yields. Along with the development of new high-yielding cereal crop varieties, expanded irrigation, and industrial management practices, a key driver behind these advances was the use of more fertilizer containing nitrogen, phosphorus, and potassium—nutrients that plants need to grow. Currently, we use five times more fertilizer in agriculture than we did in 1950, and eight times more for nitrogen alone. These increases in fertilizer use were made possible by a new development in modern chemistry. The Haber-Bosch process converts nitrogen from the air into fertilizer. Rather than relying on natural sources, the world could now manufacture its own fertilizer. Yet, once considered a marvel of modern agriculture, nitrogen fertilizer has resulted in several unintended consequences. Along with boosting yields, it’s also a major source of pollution. For thousands of years, animal manure has enriched our croplands. But scientific advancement and burgeoning food demand in the 20th century drove more farmers to embrace synthetic fertilizers. In the 1960s, fertilizer use rose even more rapidly. 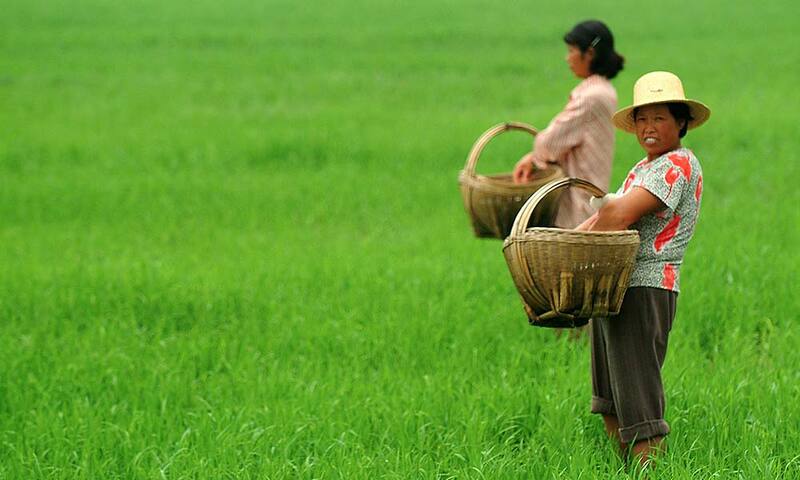 Today, nitrogen fertilizers support about 40 percent of people on Earth. FERTILIZER USE AND MANURE APPLICATION HAVE DRAMATICALLY DISRUPTED THE GLOBAL PHOSPHORUS CYCLE. Each year, about 45 percent of the nitrogen added to fields is not taken up by the crop. This surplus nitrogen can run as high as 65 to 93 percent for crops like sugar beets, sugarcane, potatoes, and cotton. 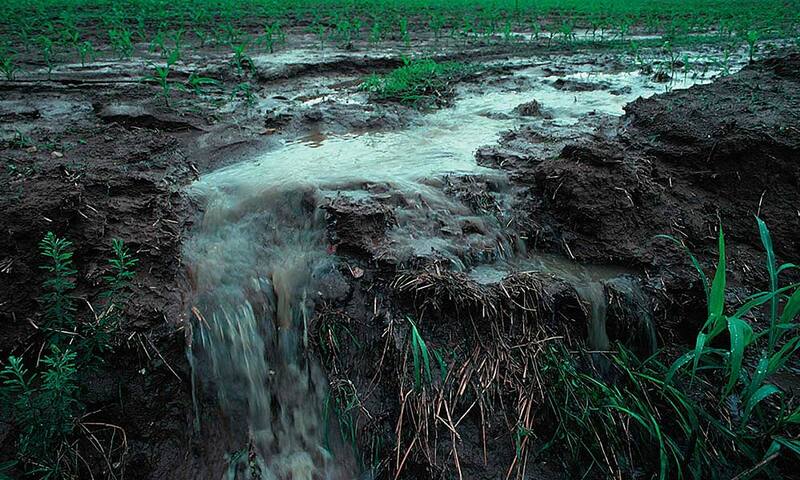 When nitrogen is applied in excess of what crops need, it remains in the soil only a short time before it begins to travel, often by leaching into local streams and lakes. Fertilizers feed all plants, not just the crops they were intended for. As a result, aquatic life suffers and waterways become less appealing for fishing and swimming. At the same time, water treatment becomes more expensive. These consequences are not limited to farming areas. 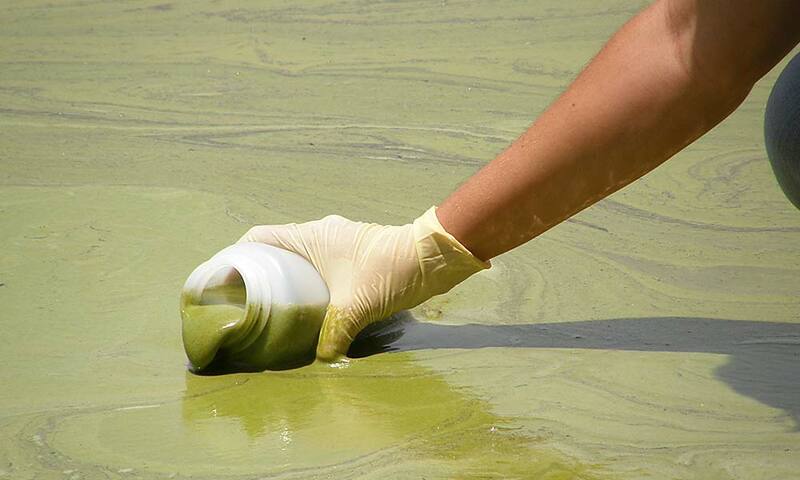 As nitrogen travels downstream to rivers and eventually oceans, it fuels algae growth on a massive scale. 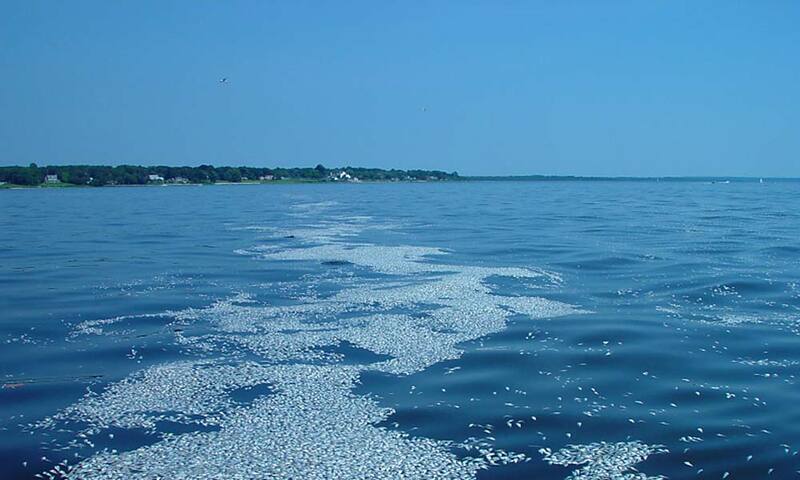 This creates oxygen-starved areas, dubbed “dead zones,” destroying fisheries from the Gulf of Mexico to the East China Sea. Considering only the world’s major crops, 64 percent of the surplus nitrogen that fuels the world’s dead zones is located in just three countries: China, India, and the United States. Fortunately, these excesses also point to a potential solution. 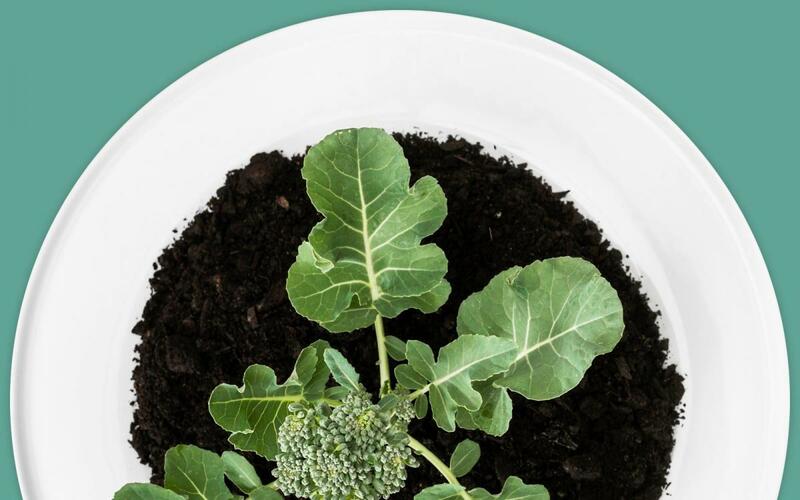 When fertilizer is applied in a targeted way—adding as much, but only as much, as crops can use—it is possible to meet the dual goals of increasing crop production and preserving environmental quality. Optimizing fertilizer use often means that farmers’ profits go up, too. Today, an average of 99.5 kilograms of nitrogen is applied per hectare of farmland worldwide for major crops. But that average obscures big regional disparities in how much fertilizer farmers apply to crops. In places like China, India, and the United States, excess nitrogen pollutes waterways and depletes oxygen from parts of the ocean. Meanwhile, swaths of Asia and Africa are starved of nitrogen and phosphorus. SINCE 1950, THE AMOUNT OF NITROGEN APPLIED TO CROPLANDS HAS INCREASED EIGHTFOLD. Food systems account for 19 to 29 percent of global, anthropogenic greenhouse gas (GHG) emissions. When forests are cleared for agriculture, microbial decay, as well as burning of plants and soil organic matter, release carbon dioxide (CO2). In addition to carbon dioxide, agriculture also releases methane (CH4) when organic material decomposes in oxygen-deprived situations, mostly from digestion by ruminant livestock or when rice is grown under flooded conditions. When fertilizer or manure is applied to fields, bacteria in the soil convert most of the nitrogen in fertilizer into forms that plants can use. However, about 2 percent of the nitrogen applied is converted into a different gas: nitrous oxide. Agriculture is responsible for 60 to 85 percent of total nitrous oxide emissions, and roughly half (52 percent) of methane emissions. Both nitrous oxide and methane greatly contribute to global warming because they trap heat much more powerfully than CO2. Over a 100-year period, nitrous oxide is 298 times stronger, and methane 34 times stronger, than carbon dioxide. So, while nitrous oxide and methane account for smaller shares of global emissions, reducing their emissions in agriculture could play a huge role in lowering emissions overall. 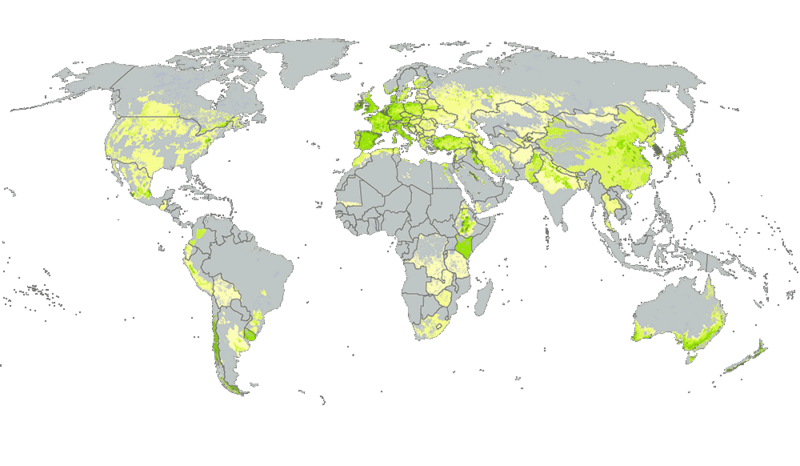 Agriculture’s nitrous oxide impacts vary greatly from country to country. This presents an opportunity to reduce emissions without sacrificing yields. China, India, and the U.S. contribute 58 percent of nitrous oxide emissions—nearly a third (28 percent) coming from China alone. Nitrous oxide emissions are higher in places like China, where application rates are excessive, highlighting the importance of using smarter management practices. On the other hand, in countries with under-yielding croplands, small doses of fertilizer could boost yields with little increase in nitrous oxide emissions. CO2 deforestation, decay of biomass, etc. NITROGEN AND PHOSPHORUS APPLIED TO MAIZE, WHEAT, AND RICE COULD BE REDUCED BY 14–28 PERCENT WITHOUT COMPROMISING CROP YIELDS. To understand how to use fertilizer better, farmers must confront a problem that Goldilocks might recognize. Add too much fertilizer, and we pollute streams, oceans, and the atmosphere. Add too little and farms don’t reach their potential. To get fertilizer use just right, we need new solutions for increasing the efficiency of nutrient use in places with high yields—and for increasing access to fertilizer in places with low yields. Altering the timing, placement, and types of fertilizer are all ways to improve efficiency. For example, in countries with high yields, limiting fertilizer use to provide only what plants use will improve water quality and reduce nitrous oxide emissions. Nitrogen and phosphorus applied to maize, wheat, and rice could be reduced by an estimated 20-24 percent, and 13-22 percent, respectively without compromising crop yields. Even small reductions in fertilizer use for these crops in China, India, and the U.S. could have a huge impact. Strategies for smarter use all depend on the place. In the U.S., for example, we’re using far less fertilizer per bushel than China. 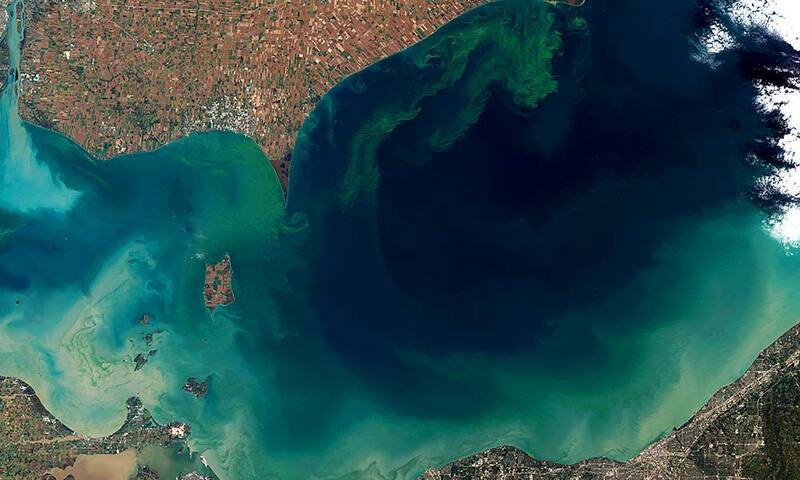 However, the U.S. on the whole is still one of the largest contributors of nitrogen pollution. Even though we’re a country with plenty of land, almost all of the area that could be suitable for planting crops is tilled under. This presents a paradox. Even though an individual farm in the central U.S. uses nitrogen efficiently, almost all corn farmers also apply fertilizer. When all farm fields growing corn are considered together, overall excess nitrogen is still increasing, and the effects on our waters and atmosphere are tremendous. In contrast, much of the soil in Africa and Asia has a nitrogen deficit. Crops use more nitrogen to grow than is returned each year through farming practices. 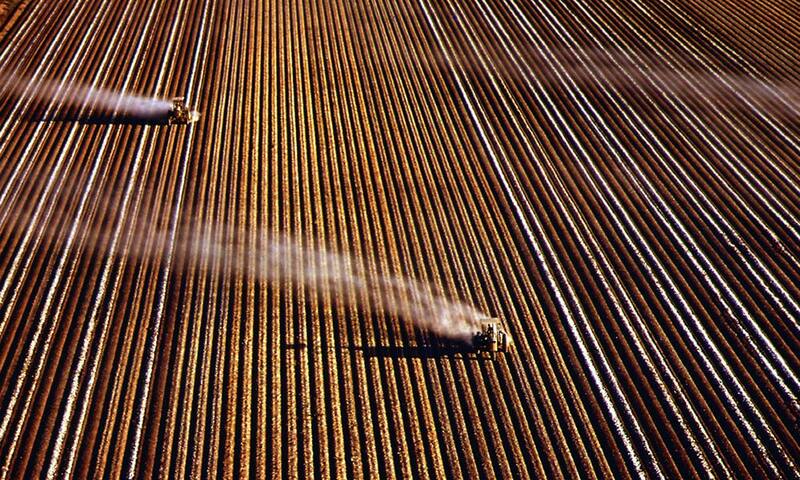 The result is a net extraction of nitrogen, a process of mining that gradually depletes farms of their potential. Adding a small dose of fertilizer in many of these areas would enrich the soil’s potential, boosting crop yields with minimal pollution. Credits: Barrett Colombo, Peder Engstrom, Andrew Urevig, Paul West. Design: smashLAB. Charles, Dan. 2013. “Fertilized World, a Mixed Blessing.” National Geographic. Clarke, L., Kejun Jiang, Keigo Akimoto, Mustafa Babiker, Geoffrey Blanford, K. Fisher, J. Vanden, J. C. Hourcade, and V. Krey. 2014. Assessing Transformation Pathways. Chapter. Cordell, Dana, Jan-Olof Drangert, and Stuart White. 2009. “The Story of Phosphorus: Global Food Security and Food for Thought.” Global Environmental Change 19 (2): 292–305. MacDonald, Graham K., Elena M. Bennett, Philip A. Potter, and Navin Ramankutty. 2011. “Agronomic Phosphorus Imbalances across the World’s Croplands.” Proceedings of the National Academy of Sciences 108 (7): 3086–91. Mueller, Nathaniel D., James S. Gerber, Matt Johnston, Deepak K. Ray, Navin Ramankutty, and Jonathan A. Foley. 2012. “Closing Yield Gaps through Nutrient and Water Management.” Nature 490 (7419): 254–57. Myhre, G., D. Shindell, F. M. Bréon, W. Collins, J. Fuglestvedt, J. Huang, D. Koch, J. F. Lamarque, D. Lee, and B. Mendoza. 2013. “Anthropogenic and Natural Radiative Forcing.” Climate Change, 659–740. Ray, Deepak K., Nathaniel D. Mueller, Paul C. West, and Jonathan A. Foley. 2013. “Yield Trends Are Insufficient to Double Global Crop Production by 2050.” PloS One 8 (6): e66428. Scheehle, Elizabeth, Dave Godwin, and Deborah Ottinger. 2006. “Global Anthropogenic Non-CO2 Greenhouse Gas Emissions: 1990–2020.” Version: Revised June. Smil, Vaclav. 2002. “Nitrogen and Food Production: Proteins for Human Diets.” AMBIO: A Journal of the Human Environment 31 (2): 126–31. Smith, P., M. Bustamante, H. Ahammad, H. Clark, H. Dong, E. A. Elsiddig, H. Haberl, R. Harper, J. House, and M. Jafari. 2014. “Agriculture, Forestry and Other Land Use (AFOLU).” Climate Change, 1–179. Smith, Pete, Daniel Martino, Zucong Cai, Daniel Gwary, Henry Janzen, Pushpam Kumar, Bruce McCarl, Stephen Ogle, Frank O’Mara, and Charles Rice. 2007. “Policy and Technological Constraints to Implementation of Greenhouse Gas Mitigation Options in Agriculture.” Agriculture, Ecosystems & Environment 118 (1): 6–28. Smith, Pete, Daniel Martino, Zucong Cai, Daniel Gwary, Henry Janzen, Pushpam Kumar, Bruce McCarl, Stephen Ogle, Frank O’Mara, and Charles Rice. 2008. “Greenhouse Gas Mitigation in Agriculture.” Philosophical Transactions of the Royal Society B: Biological Sciences 363 (1492): 789–813. Tubiello, Francesco N., Mirella Salvatore, Simone Rossi, Alessandro Ferrara, Nuala Fitton, and Pete Smith. 2013. “The FAOSTAT Database of Greenhouse Gas Emissions from Agriculture.” Environmental Research Letters 8 (1): 015009. Vermeulen, Sonja J., Bruce M. Campbell, and John SI Ingram. 2012. “Climate Change and Food Systems.” Annual Review of Environment and Resources 37 (1): 195. Victor, D. G., D. Zhou, E. H. M. Ahmed, P. K. Dadhich, J. G. J. Olivier, H. H. Rogner, K. Sheikho, and M. Yamaguchi. 2014. “Introductory Chapter.” Climate Change 2014: Mitigation of Climate Change. Contribution of Working Group III to the Fifth Assessment Report of the Intergovernmental Panel on Climate Change, IPCC.